On a cold winter night or snowy day, a fire in the fireplace makes your home feel cozier. And if your power goes out, it may become a necessity. But when you go to turn it on, nothing happens. No flame, no warmth, nothing. Before you get all fired up, try these troubleshooting tips from your propane supplier in Greensboro. Check Your Propane Tank: Is it possible your tank is empty? You may need to check. How do you know how much propane is in your tank? If you have an upright propane tank where the valve is on top, simply pour hot water down the side. Then run your hand down the side where you poured the water and you should feel a distinct spot where the temperature changes from hot to cold. That’s the level of propane in your tank. If you have a larger horizontal tank you may need your propane supplier in Greensboro to help you read the gauge and determine if a refill is necessary. Make Sure the Propane is Turned On: During the off-season, you may have completely shut off the propane and not remember doing so. Check that the propane is turned on to your gas logs. Purge the Air out of the Pilot Tubing: If the pilot won’t light, air may be trapped in the pilot tubing due to lack of use. You can purge this air by simply holding the pilot light down for a few minutes. Then try to light the pilot again. Check the Igniter: When gas is coming out of the pilot (you should be able to smell it) but the pilot still won’t light, it could be a problem with the igniter. Try clearing out any debris between the igniter and the thermocouple. If your gas logs still won’t light, you may need a new igniter. Check the Thermocouple: If the pilot lights but won’t stay lit, you likely have worn out thermocouple that needs replacing. 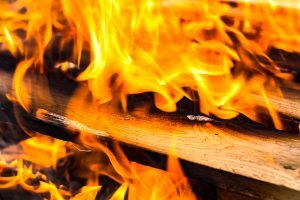 If you’ve tried all of these easy fixes and still can’t get your fireplace to light, it’s time to call in a propane supplier in Greensboro. So when you’ve tried everything and you still don’t have a fire blazing, pick up the phone and call in the experts. Re-wrote the sentence to make it less DIY, but it still teeters on the brink of violating the rule and “experts” and “professionals” are awfully close. Berico specializes in propane and has decades of experience with propane fireplaces. A trained technician will inspect every aspect of your fireplace as well as your propane tank and gas line to locate the problem and repair it. Whether you simply need a tank refill or your thermocouple has gone bad, Berico can have your fire burning in one short visit. Call Berico and get your fireplace working, day or night. Berico provides emergency service 24 hours a day, seven days a week. Routine maintenance is also available to keep your propane fireplace operating properly and safely. Don’t get left in the cold on a winter day. Call Berico today (or tonight) at (336) 273-8663.